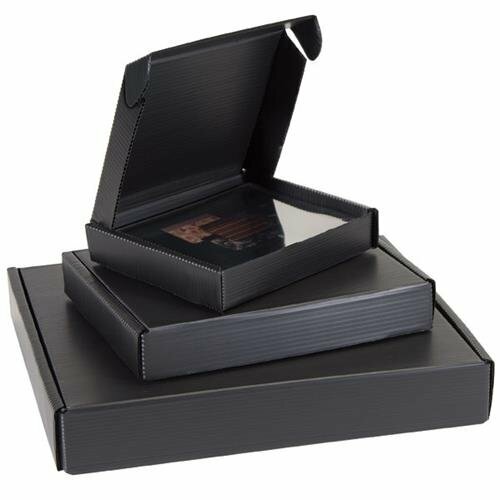 Designed to preserve 4" x 5", 5" x 7", 8 x 10" and 9" x 12" photos, negatives and transparencies (in their protective sleeves), these corrugated polypropylene clamshell boxes have the advantage of four-corner closure tabs for extra security. Protects from dust, dirt and light. Inert, moisture-resistant, black polypropylene surface is easy to keep clean.